Sometimes when I get my mind set on something there really is nothing that will stop me from doing whatever it is that I am thinking of. This can sometimes be a small problem. Take my latest baby clothing obsession for example. I have been OBSESSED with printed baby leggings. I am a weirdo and could not stop thinking about them all weekend long. 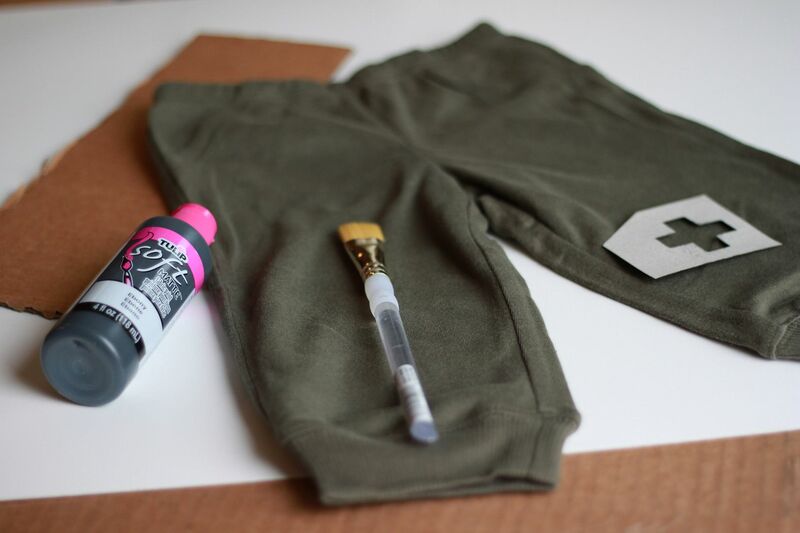 I figured it could not be too hard to create my own pair of leggings for Ronin so I headed off to the craft store. I decided to just "wing it." I bought fabric spray paint, a few other supplies and headed home. I ripped open the first package of leggings and began to spray paint over my stencil. BAD idea. Turns out fabric spray paint might just be the worst invention ever...at least for what I was trying to accomplish. 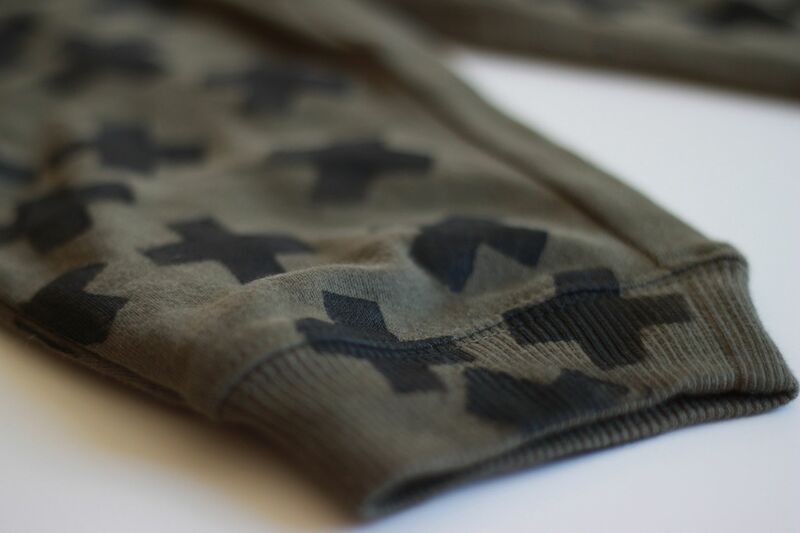 I ended up with little black splotches all over the leggings. So back to the craft store I went and picked up what I should have got in the first place...regular fabric paint. This is seriously so easy and the pattern ideas you can do are endless. Baby leggings. I found mine on clearance at Target. Fabric paint. I used Tulip Soft Matte in Ebony. A stencil. If you can't find one you love you can make your own using parchment paper and an exacto knife. Pre wash and dry the fabric that you intend you use (this will prevent shrinkage once paint in applied). 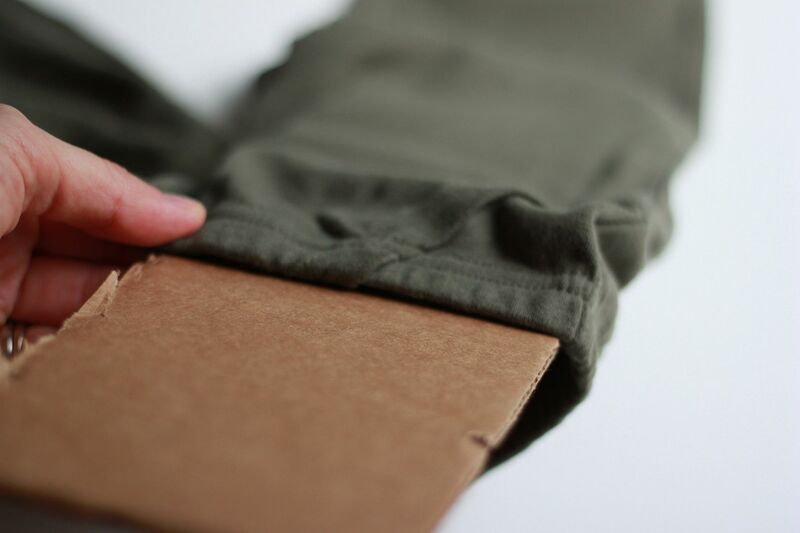 Put a piece of cardboard inside each pant leg to prevent the paint from bleeding through. 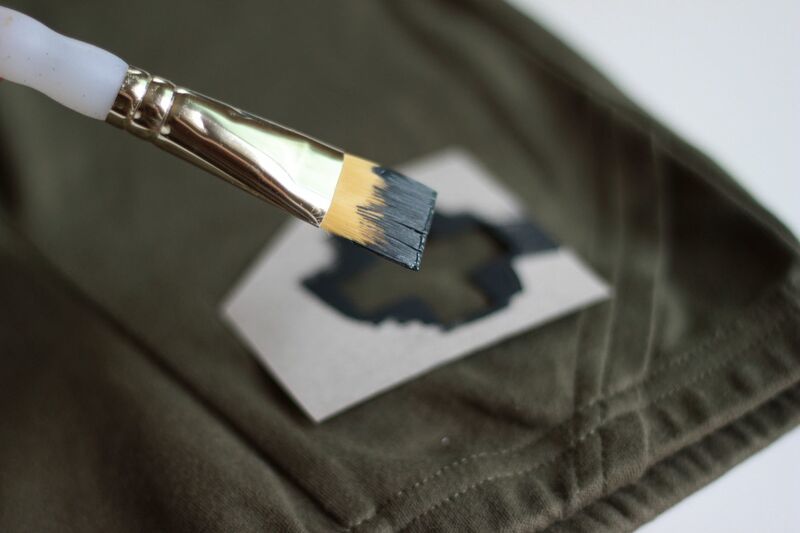 Place your stencil on the fabric and hold down all the edges with one hand while you paint over the stencil with the other hand. Continue to add the pattern all the way down. After you are finished with the front, wait an hour for the paint to dry and then do the back. Let the paint dry for 4 hours and then wash after 72 hours. Read the back of your paint bottle for further instructions. And then of course put your baby into the leggings :) What a good sport he is! I will definitely be making more of these and the next pair I make I am going to use tight leggings...nothing like a chubby baby with a big ole diaper in skinny stretchy leggings. I love his "I'm the man" slouch. Haha. Those are adorable Lindsay. Can I borrow your brain? I seem to have the opposite problem...can't stay focused! Such a great idea! I'll definitely be making a zillion for my little one! Holy cow, these are so adorable! And Ronin is too precious! Great job! Don't put that little cutie in tight leggings. 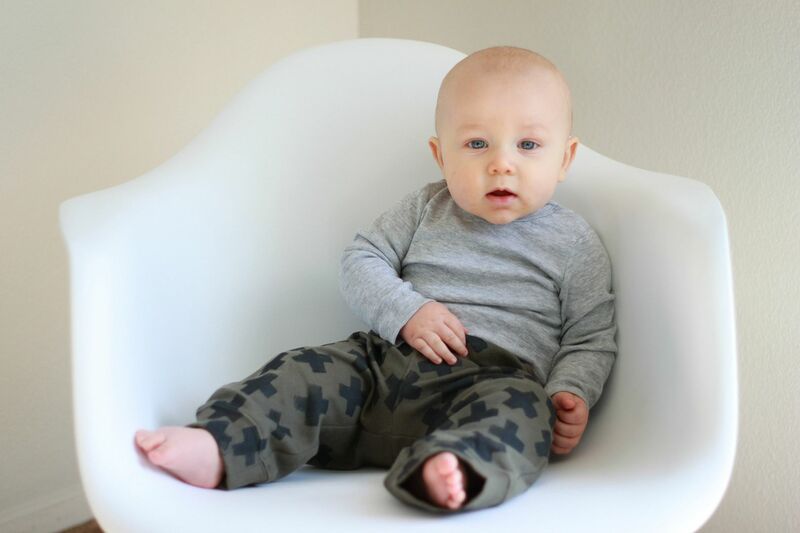 Boys need room for their junk and sweats are so cute and cozy ! Love the deign! Ronin is so stinkin cute Linds. You did a fantastic job on those leggings. Wait, are boy pants called leggings? Hmmm.. either way they are adorable. Ok these are WAY too cute! Totally love them! !